After infamously declaring Wednesday afternoon that ex-pitching great Roy Halladay “got what he deserved” less than a day after his fatal plane accident, Boston sports radio host Michael Felger has since apologized for his comments. “In a nutshell I would say that I feel bad about what happened on a lot of levels. I feel bad about what I said and how I conducted myself. I feel bad about that. To say it was over the top or insensitive is really stating the obvious,” Felger begins. Simply put, Felger knows what he said wasn’t good. Feel free to interpret that as you like. I wasn’t shocked to see this, and have no problem with it. While Felger’s comments were insensitive, I wouldn’t have agreed with him getting fired because of this. The suspension is essentially for one day. Felger didn’t appear on Felger and Mazz on Friday, which doesn’t air on the weekends, so he’ll be back Monday. This is a slap on the wrist if there ever was one- not that Felger deserved to have been suspended anyway, in my opinion. Because it’d just be something as minor as this- basically no suspension. But you know that SOMETHING had to be done, obviously. The minimum discipline. Boston's bullpen has a cloud of uncertainty surrounding it entering 2019. The 2018 Boston Red Sox won a franchise record 108 games and iced the season with the franchise’s ninth World Championship, all in spite of a lousy bullpen. Closer Craig Kimbrel was the team’s only truly reliable option throughout the year and even he struggled badly at points. In 2019 the prognosis looks even worse for the staff. Boston lost two big bullpen assets this winter and hasn’t made any big moves to fill the void. Kelly and Kimbrel’s absences leave a big hole in the Red Sox roster. It’s understandable why Red Sox President of Baseball Operations Dave Dombrowski wouldn’t want to give such a massive deal to a closer on the wrong side of 30 like Kimbrel, but not resigning the fireballer at all may prove to be a mistake for Boston, especially since Knuckleballer Steven Wright was suspended for PED usage and will miss 80 games. Wright was expected to be a big part of the bullpen since he can both eat innings and get strikeouts. Instead the Sox lost another big name, albeit not permanently. 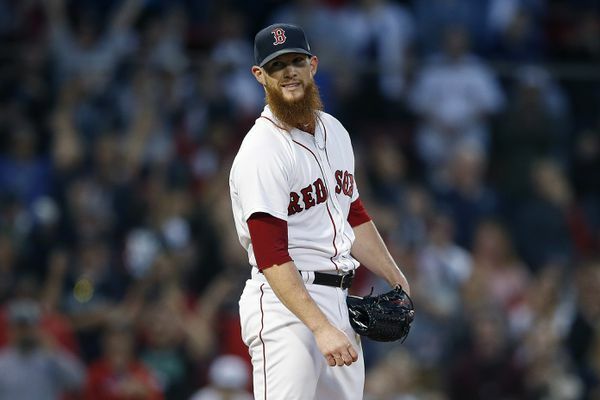 Boston has walked away from its former ace closer Craig Kimbrel (AP). Sophomore Manager Alex Cora announced today what the Red Sox bullpen will look like at least for the start of the 2019 season, and you wouldn’t be wrong if the first thought in your head was “average”. According to Boston’s MLB.com reporter Ian Browne, Cora’s ‘pen to start 2019 will be Matt Barnes, Heath Hembree, Brandon Workman, Ryan Brasier, Brian Johnson, Hector Velazquez, Tyler Thornburg and Colten Brewer. While that is by no means the worst group of relief pitchers a team could throw together (pun not intended), it isn’t exactly a stellar one either, due to the massive amount of question marks surrounding it. The first and biggest problem is that none of those players seem capable of stepping up and taking the closer’s role. Matt Barnes and Ryan Brasier seem to be the most viable guys if the team wants a set closer. Barnes has been with Boston since 2016 and spent most of that time as one of Kimbrel’s set-up men. He has battled consistency issues, though and has posted an ERA above three in each of the past two seasons, which isn’t exactly a selling point. 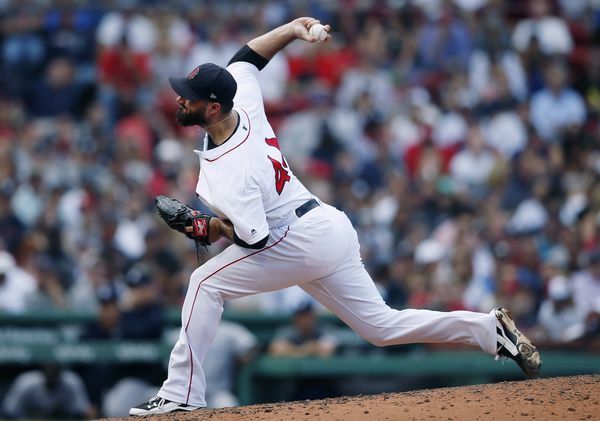 Brasier, on the other hand, was a very pleasant surprise for Boston when he was brought up from Triple-A on July 8 and proved to be very consistent. He posted a 1.64 ERA on the year and was given very important innings by season’s end and the playoffs. The only question with Brasier is if he can continue that success into the new season or prove to be a one-season wonder. After spending 2017 in the NPB, Brasier was a low-risk signing that has paid off on Boston’s part to this point. It all hinges on how he follows up. Tyler Thornburg has shown in the past that he has the tools to be a dominant reliever, but he’s been all but non-existent since coming to Massachusetts. The 30-year-old was Boston’s return in the December 2016 deal that sent Travis Shaw to Milwaukee and Boston is still waiting for that return. Due to thoracic outlet syndrome, Thornburg missed all of 2017 and didn’t make his Red Sox debut until July 6, 2018, 17 months after he was acquired. He pitched to a 5.63 ERA in 24 innings and was not included on the playoff roster. 2019 will be Thornburg’s first full season with the Red Sox and the team is still waiting to see whether or not that December 2016 trade was a steal on the Brewers’ part. If he pitches well, Cora will put him in the big role that he was expected to fill. If he doesn’t, a designation for assignment may come a-calling. Longtime Red Sox Brandon Workman has toiled to get back to the majors, but will have to show that he’s worth keeping in 2019. A member of the 2013 World Championship team, Brandon Workman is one of the longest-tenured Red Sox at this point. The righty’s fast rise was derailed in 2015 when he was forced to undergo Tommy John surgery that caused him to miss all of the next two seasons. He finally returned in 2017 but has had to fight for a roster spot ever since. Workman has shown that the surgery didn’t slow him and his stuff is still very effective. However, he hasn’t played a full season since 2014 and will have to prove that he is capable of handling the weight after all he’s been through. Cora is giving him the chance, the ball is in Workman’s court. Similar to Barnes, Heath Hembree’s problem over the past few seasons has been consistency. Hembree excels at strikeouts and handles the middle innings well, but he doesn’t do well in pressure situations, which was why he wasn’t on the postseason roster last year until Steven Wright went down. In 2018 he struck out a career-high 76 batters but posted a 4.10 ERA. Since Wright will miss half of this season, Boston will count on Hembree even more to eat the middle innings. He will have to find a way to give up less runs, even if it means cutting down on his K total. The problem with Hector Velazquez and Brian Johnson is that both are starters converted to the way of the bullpen. Both have been effective in this role over the last two seasons and can eat multiple innings when the rest of the ‘pen is spent, but neither possess dominant, overpowering stuff. You won’t see either come into the game in the eighth with the scored tied and the bases loaded. You can’t hold this against either Velazquez or Johnson, but it’s tough to deny that this bullpen lacks guys like that. Both pitchers are often called on as spot starters and this will continue, especially early this season. Boston opens 2019 on the West Coast with 11 games in as many nights. All I can say about Colten Brewer is that I know nothing about him other than Boston acquired him from San Diego last November. All of these guys are talented, but none of them are considered truly dominant. That’s not good enough for a Red Sox team that will compete for the AL East with a New York Yankees squad that spent the whole winter bolstering its relief core. Brian Cashman brought in a couple of big names and it would be very tough to say that the Bomber bullpen isn’t pretty darn stacked. Fellow sophomore Manager Aaron Boone will have Dellin Betances, Aroldis Chapman, Chad Green, Zach Britton and Adam Ottavino at his disposal. That’s a scary quintet especially considering all five of those guys can close. Boston won the East last season and beat its storied rival in the ALDS relatively easily, but the Yankees just might have the edge in 2019. Boston’s bullpen can be called mediocre at best, New York’s can be called an embarrassment of riches. Will Boston end up resigning Kimbrel after all? It will be very intriguing to see how the team performs in the early going. No matter how well a starter does, every team has to turn to its relievers eventually. That may be a frightening experience for Red Sox Nation in 2019.